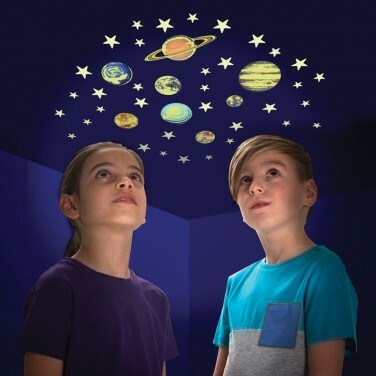 Recreate the solar system in your room with glow in the dark planets and stars! 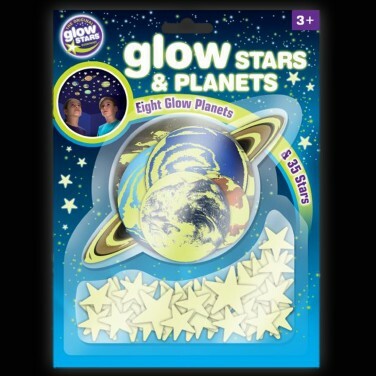 All of the planets are included in this glow star pack from Mercury to Neptune all with detailing that glows green in the dark. Add 35 glow in the dark stars to the mix and you have the glowing solar system in your room night after night! Self adhesive strips are included for easy placement, simply place them where they'll receive maximum expose to light allowing them to charge for a magical glow in pitch black conditions night after night.